is available in 3 formats! The original wall calendar, featuring the "Letter to 2016" on the cover and 12 works by 12 artists supporting 12 worthy causes in 2017. Size when open: 11 x 17 in.NOW ACCEPTING PRE ORDERS FOR SHIPMENT AFTER 12/5. 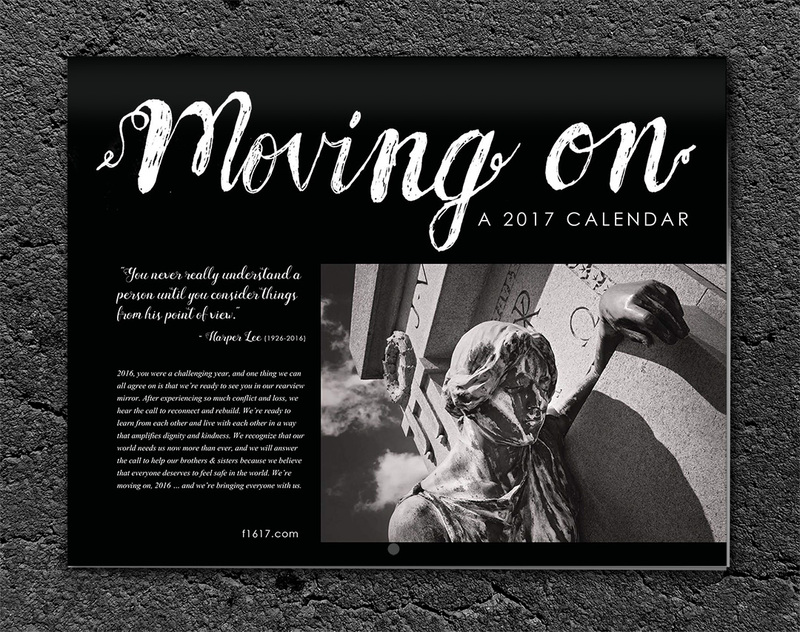 Special, "No-Swear" edition with a much more grandma-friendly title, "MOVING ON-A 2017 CALENDAR" and a swear-free version of the "Letter to 2016". Featuring the same 12 works by 12 artists supporting 12 worthy causes in 2017. Size when open: 11 x 17 in. NOW ACCEPTING PRE ORDERS FOR SHIPMENT AFTER 12/5. 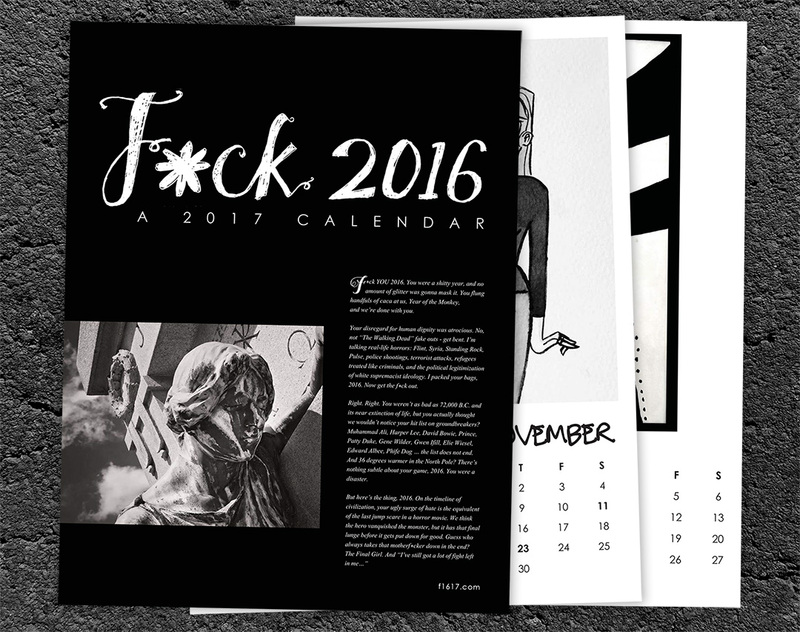 Printable, letter-size pdf format of the original F*CK 2016 CALENDAR, for those who enjoy calendars they can print and assemble themselves.